At Germain Honda of Dublin, we go the extra mile for each and every one of our guests. We take pride in our service and the long-lasting relationships that we’ve developed. Our team is made up of financial experts, Honda certified auto repair mechanics and kind, caring sales people that can relate to you and your needs. Our sales staff is here to help you find and finance that new or used car you have been searching for in Dublin. We serve the wonderful communities of Marysville, Westerville, Dublin, and the entire Columbus area. Stop by our Honda showroom at our convenient location in Dublin, Ohio. We look forward to giving you the top-notch customer care that you deserve! 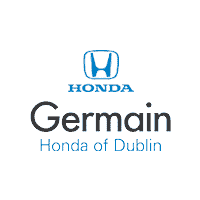 Thank you for visiting our website and considering Germain Honda of Dublin to help you with all of your automotive needs.